While there is a megapixel war between the well known smartphone manufacturers and each of them try to keep themselves ahead of the other by using the latest best big-megapixel-count cameras. The only brand which isn’t taking all this much into consideration, is HTC and they are using a different one – the UltraPixel Camera, in their flagship smartphones. In 2013, HTC introduced the HTC One smartphone with the 4-megapixel UltraPixel camera, and that was not received really well, especially because the flagship devices from other brands had 13-megapixel to 20-megapixel cameras, and that was actually what made a difference. 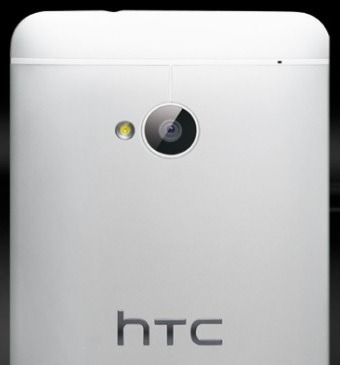 But HTC has stuck to the same camera in 2014, where the HTC One M8 was introduced with the 4MP UltraPixel camera along with a secondary camera on the back, naming it the Duo Camera. Let’s see how the Ultra Pixel camera differs from others, and why HTC is still sticking to it. HTC claims that the low-light captures in the HTC One series phones is better than the other smartphone cameras, for the reason that the larger pixels can take in more light and it is said that the UltraPixel cameras take 300% more light than the traditional camera sensors. In the early tests, it was even found that only the iPhone 5 was at par with the HTC One’s camera when capturing low light images and checking the depth. Larger the pixel size, more is the information recorded on the pixel and thus, adding to the value for the final picture. Having a lesser number of pixels makes it faster in processing and the size of the captured picture is lesser than the ones with the standard cameras with 8MP and 13MP camera modules. When comparing with the standard cameras when the HTC One was launched, the Apple iPhone 4 had a 3 square micrometer area for each pixel, similar to that of the Nokia N8. The Nokia 808 Pureview, Samsung Galaxy S3 and Apple iPhone 5 had the pixel area of 2 square micrometer. Aperture is the width that a camera lens would open when a picture is being taken. The aperture is measured in f stops, and the lesser is the f stop, larger is the aperture size. The aperture size in the HTC’s UltraPixel camera was f/2.0 while that in the Apple iPhone 5 was f/2.4, where the UltraPixel camera could get 44% more light than the one of iPhone 5, because of the larger aperture. Is having higher number of pixels not good? The actual need is for a balance between the number and size of the pixels. While the higher number of pixels would be good to pick up a lot of details and provide a good tone, but the signal at each pixel needs amplification and is low, thus there is a noise created due to the higher number of small pixels. While on the other side, the larger size of the pixel is good because there is more light received, but the tone isn’t the same when compared to the higher megapixel cameras. Thus, a balance between both would bring out a perfect capture where there is enough light taken, and there is less noise noticed in the picture. HTC is being frank about the camera usage and need in the daily life, and thus, the UltraPixel camera was introduced not to stay ahead in the race with a big number, but actually provide a solution for capturing good photos in low light conditions. But, that isn’t what many would want. Capturing low light photos is not the only need, because the better count of pixels could produce a larger image than what the UltraPixel camera is providing – a 4-megapixel image.